Forget nothing with the sleek, chic style of the Kate Spade New York® Molly Large Tote. Open construction with lobster clasp closure. Signature floating spade hardware featured in front. Includes additional zipper pouch that can be unattached for desired carry and storage. 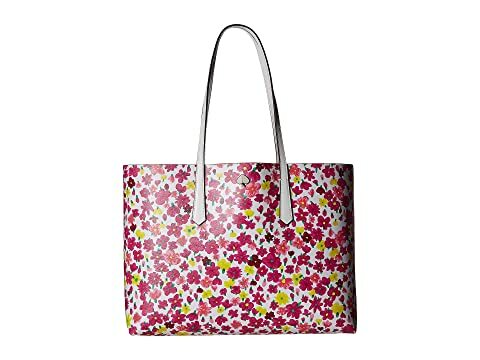 We can't currently find any similar items for the Molly Large Tote by Kate Spade New York. Sorry!